Dyconex, an MST company, offers an array of biocompatible flexible substrates that are ideal for short term and long term direct implant applications such as diagnostics, neurostimulation, implantable electrodes, catheters, sensors, and actors. These substrates combine biocompatible structures and conventional PCB technology, and are composed of dielectric base materials such as LCP, PI, or glass. 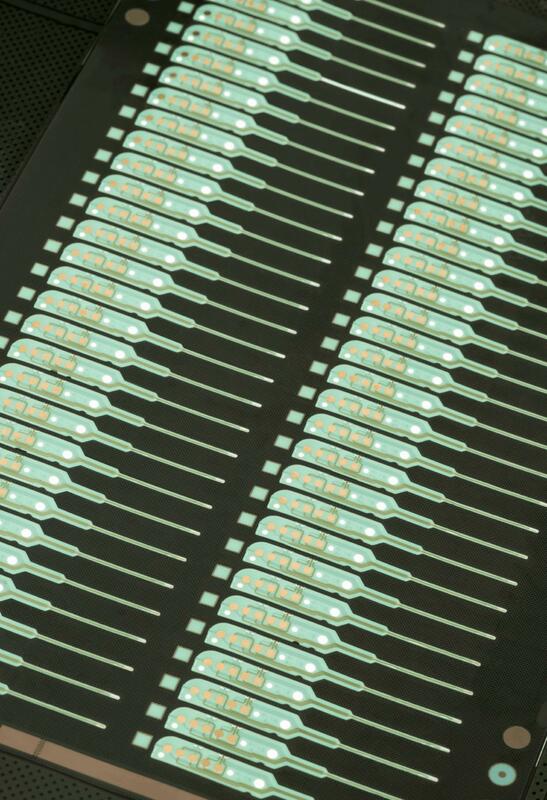 The flexible substrates feature thin film noble metal traces and large manufacturing panels, and operate with the highest resolutions for miniaturized interconnects. Download the datasheet for more features, specifications, and diagrams on the makeup of these biocompatible flexible substrates.